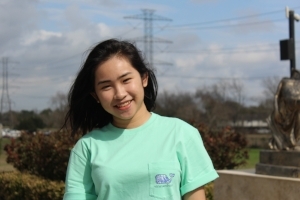 Checking in with Grace this month I was reminded of some important truths that colleges and parents should not neglect: a good overall program is more important than a particular major; geography is important; access to good Asian food is really important. Read the entire November interview with Grace below, and catch up with her past interviews here. This is the third interview with Grace. Grace is a senior in the Houston area. She attends a public magnet high school. The past two months I’ve begun with the facts and then moved on to the feelings. Let’s do it the other away around this time. How are you doing? When we last talked, you were feeling stressed. Is that any better? Worse? What’s going on in your emotions right now as they relate to school and college applications? Everyone has really prioritized doing their college apps, and we have been trying to weave it in our school work. For example, we had a school wide field trip on the 30th, and most of the class missed that day to work on applications. I personally went to the field trip because I had already submitted my applications to Baylor and UH for Nov. 1st. My counselors have been helping me get together what I need. They would email me on things I need to do by a certain time, as well as any other kinks that need to be smoothed out. Also, I have been asking people to read over my essays to gain their perspectives on what they get from the essay. I think it’s very helpful, especially when to you something may make sense, but to others it is complete gibberish. Did you get the UT-Austin and Texas A&M applications sent out for by the 15th like you were planning? Have you submitted any other applications? I was originally planning to turn them in on the 1st, but I feel as if my essays aren’t ready to be submitted. My deadline has been pushed to December 1st for both schools, but I have made November 15th my deadline so I would not have to worry about dealing with server overload issues as well as portal problems. I finished FAFSA a while back, and it was honestly a much easier process for me because I got my mother prepared during the summer as to what information we needed, when and what to do. It was very nice to have gotten it out of the way, but I still plan on doing the CSS Profile soon as I complete my Nov. 15 applications. Have you had any interviews? If so, how did they go? If not, do you have any scheduled? I haven’t had any interviews but I am trying to plan one for Lafayette College. I actually have changed it quite a bit. After attending a program at Lafayette in Easton, Pennsylvania, I have decided to make it my top choice school. It may not have my preferred major, but it does have a concentration minor which I can have. I do have some reservations about the makeup of the school, and whether I would be able to adjust to the lack of diversity, but it isn’t holding me back from applying as my top choice. I have also taken Texas Tech and Swarthmore off my list, and have added Bryn Mawr. Both Tech and Swarthmore ultimately didn’t seem like a place I would like to be at, and I didn’t have the same fondness of the schools as I did to UT Austin or Lafayette. I have decided to revisit the idea of an all female school, and have decided that Bryn Mawr was a good choice. Your list is almost completely full of Texas schools. That’s pretty common for Texans, and most people end up going to school relatively close to home. Tell me about your Texas focus. Why stay in Texas? I think my reasoning for applying to so many is so I can have a variety of backups in case out-of-state doesn’t work. Of course there are perks like being close to home, being familiar with customs, but I have started to shift my mind to want to leave Texas. I am afraid of leaving (what if I can’t find good Asian food? Will I die from the cold?) but of course it is always a great experience to leave for college. I am honestly starting to feel kind of rushed in turning in my applications, especially because people have started to get their acceptance letters to their colleges of their choice. I always see when someone posts that they have gotten accepted into a college, and I honestly can’t wait will I get that excitement as well. Older PostHow would I change admissions?